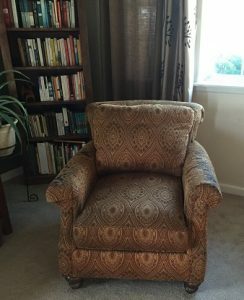 My beloved reading chair, found at Goodwill for $6. Ask anyone who knows me, and they will tell you I am the Queen of Thrifting. Clothes, small kitchen appliances, dog sweaters, you name it and I’ve found it for $5 or less. My book finding skills are particularly uncanny. For example, I’ve had The Untethered Soul on my TBR List (To Be Read) for about a year. 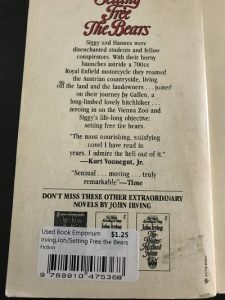 A friend told me she was reading it, and the same week a different friend showed me her copy. I told her I’d keep my eye out for a copy for myself. The very next day, I found a lovely edition at a thrift store for 40 cents. Rarely do I ever pay more than $3 for a book. As much as I adore books, I find their retail prices horrifying. Sure, I spend a lot of time thrifting in exchange for all the sweet deals I stumble upon, but it’s totally worth it to me. 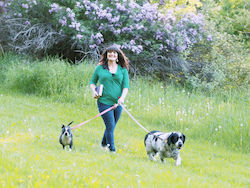 BUT if you know where to go, and what to look for, you can save time by benefiting from my experience, and in some cases, you don’t even need to leave your house! *Disclaimer: In this post, I am specifically referring to physical books. I enjoy my Kindle, and have resources for deals on e-books as well but for the most part, I prefer a book in my hand! You can’t go into a thrift store expecting to find exactly what you’re looking for. 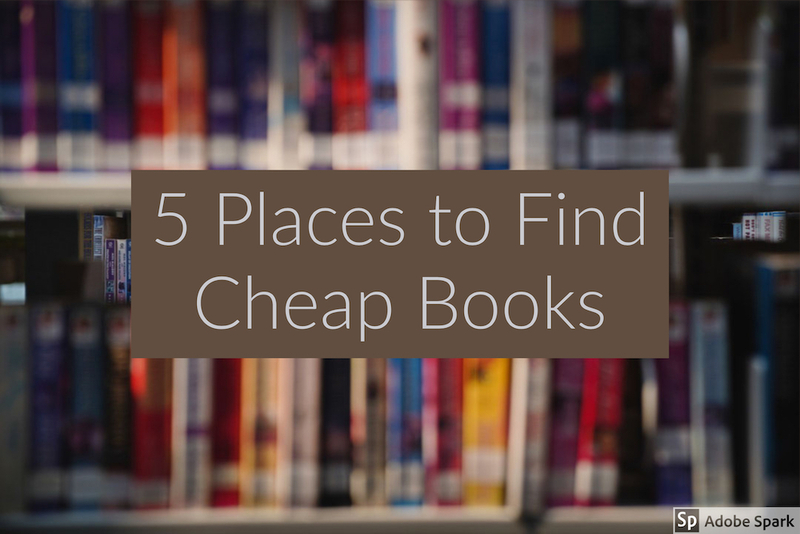 But if you peruse them often enough, you will find great books for dirt cheap. Most books at my local Goodwill are $2-$3, so I typically only buy rare finds or editions in exceptionally good condition there. Salvation Army sells paperbacks for 79 cents and hardcovers for $1.99, and on Wednesdays, everything is 50% off. There’s another thrift store in town that does 50% off everything on Fridays, which means paperbacks are 25 cents and hardbacks 50 cents those days. Used book store is an obvious place, but make sure you’re maxing out the potential. The one I go to takes books and gives store credit. I can use my credit toward half of a book’s price, which are significantly less retail. So I’m usually paying around $3-4 for book, but sometimes less than a dollar. I paid 62 cents for this book! Also in this category is your public library’s used book sale. Most libraries hold them at least once a year. I always go on the first day, when books are $2 each, to pick up any particularly great finds. Then my husband and I go back on Bag Day and load up on anything that looks even remotely interesting! Last year’s Bag Day haul, all this for $11! recommended to me several times by friends. Again, make sure you’re maximizing discounts. 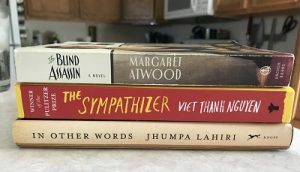 I Googled coupon codes and ended up with three books shipped to me for $10 total. I turned to this site because I was looking for specific books I couldn’t find elsewhere. Totally worth it! I discovered this site at a co-worker’s recommendation about 12 years ago and used it for a long time. 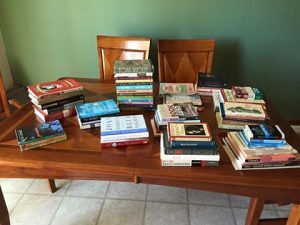 The concept is easy: If you have books lying around that you’re willing to part with, create an account and then list your books. When someone requests one of your books, you print out a label and mail it. Once your book is received, you get a credit in your account. You then use that credit to request a book and it will be sent to you. Did I miss any resources you like to use? Where do you usually get your books? Do you prefer to buy or borrow? 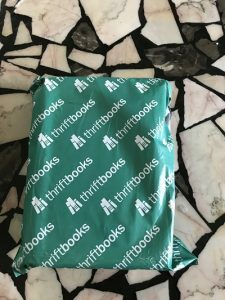 I’ve never heard of thriftbooks, so I’ll have to check it out. My Salvation Army doesn’t have a very good selection of books, but my Goodwill does. Great resources! Thank you so much for your kind words. Yes, I’ve found some gems in our FLL as well.